Hi friends! 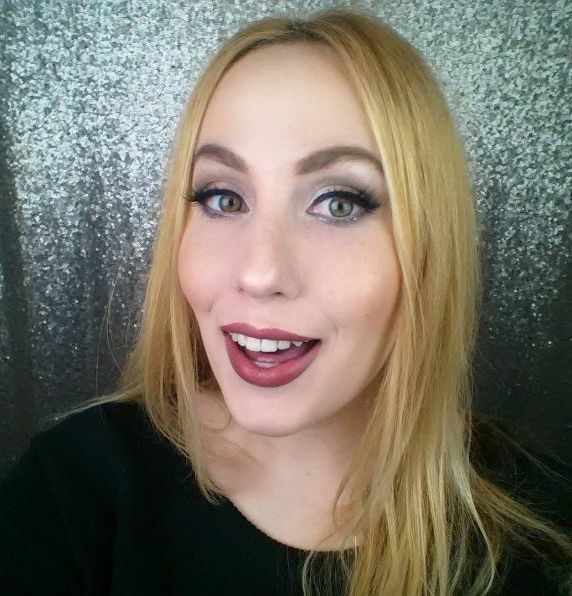 *waves* Today I’m reviewing a product that has been contributing to my goal of embracing colour, in my makeup routine. 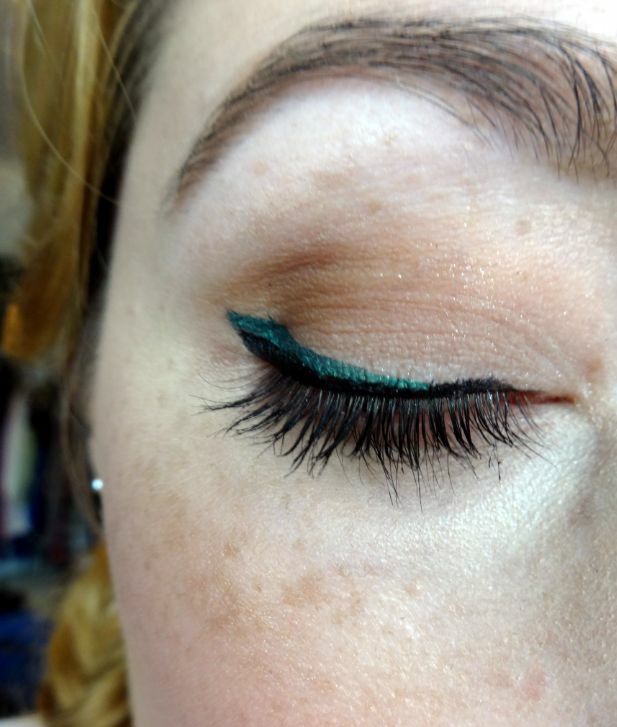 Click through to hear my thoughts, and to check out the look I created. 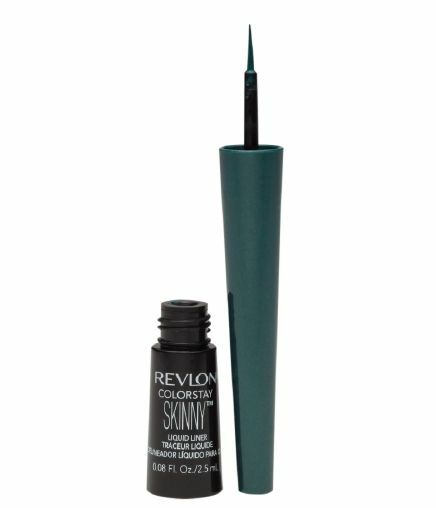 Meet Revlon Colorstay Skinny Liquid Liner in ‘Green Spark’ – an evergreen coloured liquid eyeliner with a subtle metallic finish, and a super-precise thin tip. The way I used it was to compliment a green dress I planned on wearing to an event. I began by lining my eye and creating a wing with a black liquid liner, then used the precise tip on the Revlon Colorstay Skinny Liquid Liner, starting from the centre of my eyelid and ending a bit beyond the black liner, to extend the wing. 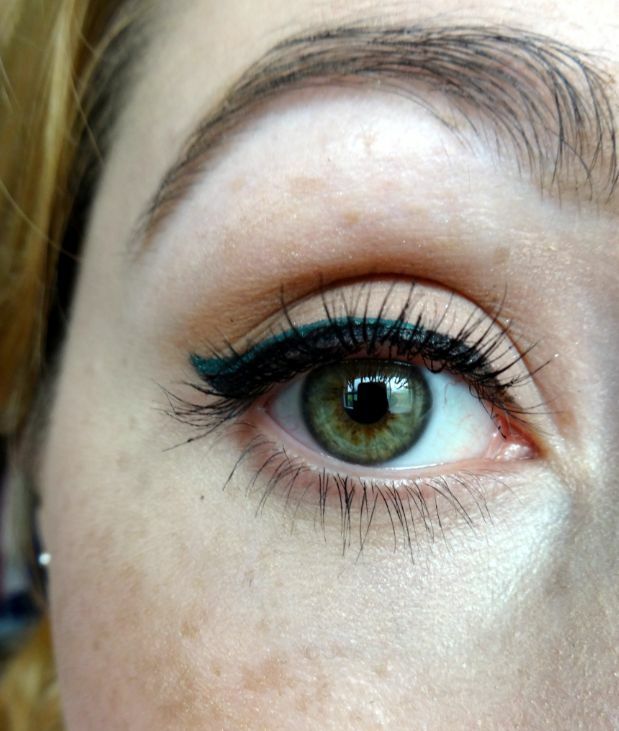 The subtle hint of green was just what my look needed – I think I’m going to have to try teaming up a coloured liner with a classic black wing more often. 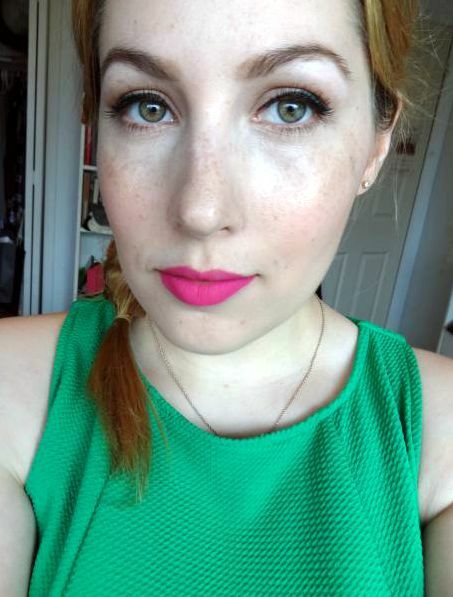 I paired it with Kat Von D Everlasting Liquid Lipstick in ‘Backstage Bambi’. What I liked about this liner was how precise the tip was. I’m one of those people who can easily over-do it with liquid liner, especially when I’m trying to match the eyeliner on both of my eyes. So, I really liked that I could start with a very small area, match it on the other eye, and work from there, instead of the “just add more until it matches” method. The formula lasted all 4 hours of the event I went to, however the metallic finish did fade a bit. 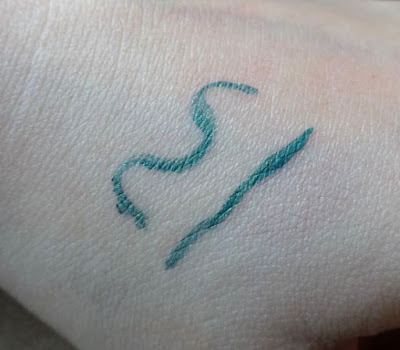 The only issues one might find with the liner is that the formula can be a tad bit water-y, and not give off that bold colour at first. 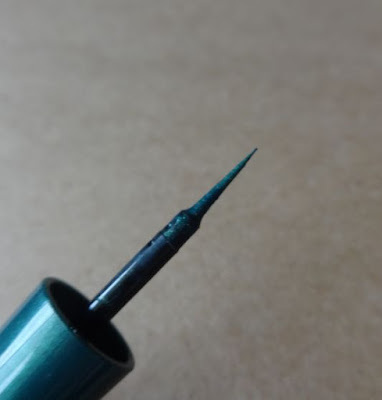 Beyond that, because the applicator is so thin, it doesn’t hold much product, so you will have to dip it back into the bottle a couple of times per eye. However, if dipping the applicator is the cost I have to pay for a precise tip, I’ll deal with it. If you’re interested in trying it out for yourself, you can find Revlon Colorstay Skinny Liquid Liner at your local drugstore.